Before joining Womens Health Specialists West Hills, Dr. Khodai obtained a Bachelor of Science degree in Psychobiology from the University of Southern California. Then after receiving her Masters in Health Administration from USC, Dr. Khodai worked as a Project Manager and Associate with a medical consulting firm in Laguna Niguel, CA. After several years working in the business world, Dr. Khodai still longed to pursuing a career as a physician. Thus, she completed her medical training at Boston University Medical School and subsequently completed her internship and residency at Rush University Medical Center, which is considered one of the nation’s top training programs. Dr. Khodai specializes in helping women of all ages improve their health, whether that means a healthy pregnancy or thriving during menopause. Her expertise includes the full range of medical issues that affect women’s quality of life, including menstrual, urinary, fibroid and hormonal problems. 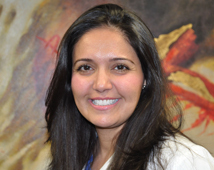 In her spare time, Dr. Khodai enjoys spending time with her family and close friends, going to sporting events, admiring the arts by seeing musicals, plays and art shows, and keeping herself healthy with practicing yoga, pilates, hiking and spinning.